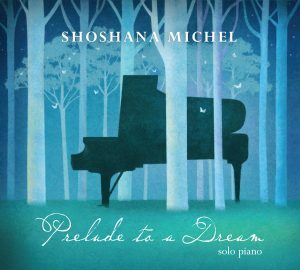 Prelude to a Dream features eleven original piano solos that will soothe, inspire and delight. 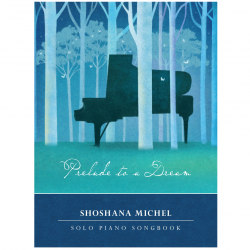 It is Shoshana’s third piano solo album and her second as a composer. Inspired by the solo piano community, she starting composing after a twenty-four-year hiatus. The music she writes is inspired by life experiences, people and emotions. 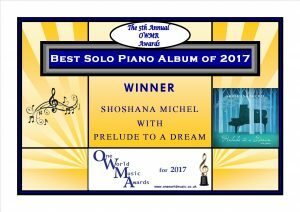 In 2015, Shoshana felt the need to prove herself as a composer, not just as an arranger or pianist. Determined to compose, she sat down at the piano and after a few tries, the music began to flow. The blocks that were preventing her from composing began to dissolve and she couldn’t write down the music fast enough. The result of this ‘flood of music’ was Dancing on the Wind, her debut as a composer. Inspired by the overwhelming response to and the success of Dancing on the Wind, as well as the support of the solo piano community, she continued to compose. Prelude to a Dream is the result. 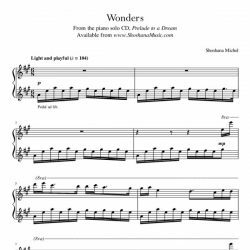 Learn the stories behind each of the compositions from Prelude to a Dream. Order the Prelude to a Dream (physical) CD now.